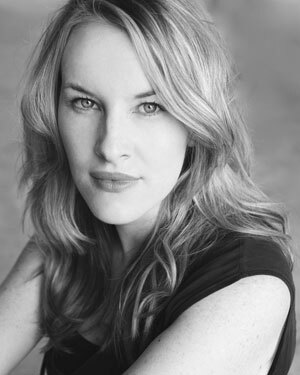 Kate Mulvany is an award-winning Australian playwright and screenwriter, as well as being an acclaimed actor whose portrayal of Richard III recently won her a Helpmann Award. In 2015, she was our Patrick White Fellow here at STC, and working on her adaptation of Ruth Park's trilogy of novels – Missus, The Harp in the South and Poor Man's Orange. In 2018, that adaptation reaches the stage in an epic two-part production. What drew you to Ruth Park’s The Harp in the South? I was looking for an epic Australian story that would take the audience on a huge emotional journey. I wanted the audience to sit within a community of people and fall in love with them, live amongst them for an afternoon. And I wanted the central characters to be the women of that community. I wanted to explore the prevailing strength of women. So, whilst ruminating on all this, I was reminded of a book that used to sit on my family bookshelf – The Harp in the South. I remembered family members – men and women – reading it and laughing raucously one minute and weeping with sadness the next. I remember diving into that book all those years ago to see what all the fuss was about and immediately falling in love with the characters and their world. They lifted me and broke me all at once. They were fabulously flawed. Heart-bustingly human. I celebrated their victories and felt gutted by their failures. They were as real to me as my own family. That copy of The Harp in the South became a well-thumbed tome, smudged with tears of joy and sorrow, as did its accompanying books Missus and Poor Man’s Orange. All these years later, at a time when we seem to be isolating ourselves via electronic devices, and “communities” mostly exist online, I felt it was important to bring the Darcy family to the stage and examine the notion of true community. Of having a place to belong. That a dilapidated bug-ridden house can become a home. A neighbour from a completely different background can become your family. A street can become your world. A suburb, your battleground. The rare opportunity to take part in fully-immersive event theatre. Audiences will not only watch a family through generations, but will become part of the community itself. This is an epic emotional journey, and so they will laugh, weep, sing and soar along with our characters and our story. And, hopefully, they will walk out looking at each other and the city around them in a whole new light. You wrote the adaptation while a Patrick White Fellow here at STC. What was that experience like? The Patrick White Fellowship meant I got a desk to myself in the biggest theatre company in Australia – that’s a good start! I also shared my surrounds with Kip Williams, Sarah Goodes, Paige Rattray, Polly Rowe – so I could pick their brains at any time when I needed to, and they could do the same with me. It was a buzzing little hive of creation and I feel so lucky that the The Harp in the South stage play formed itself surrounded by such inspiring minds.